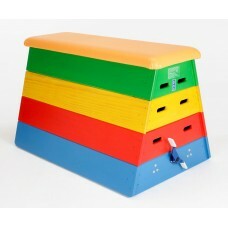 At last – a vaulting box more suited to younger gymnasts. 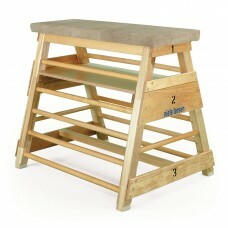 Comprising 3 sections, with handholds for ease of lifting and the top section with.. These traditional horses and buck are built and upholstered in selected hide. All units have easily adjustable legs and the horses have removable lam..
A range of traditional Vaulting Boxes constructed using timber from sustainable sources, with generously padded tops covered in high quality natural h.. 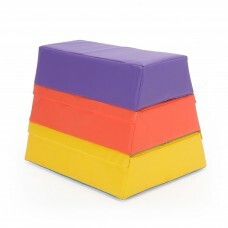 This 3 section foam vault box allows younger children to learn a whole range of movements in a non- threatening environment. 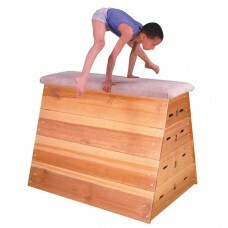 Each section is covered i..
At 1210mm high this vaulting box is almost full height but a great deal less intimidating for younger or less able gymnasts, and is also a great for t.. 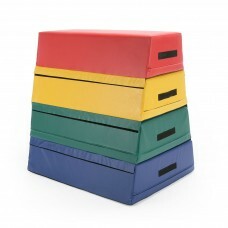 This colourful Junior Vaulting Box comprises 4 sections in different colours, with a well padded vinyl top and a wheeling device for ease of tra..